Liam Keehan named ‘Clubman of the Year’ for 2017-18 season! 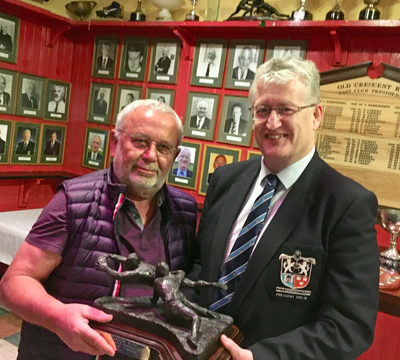 At the Old Crescent RFC AGM held on 22nd May, outgoing President, Tim Duggan, presented the annual Clubman of the Award for the 2018-19 season to Liam Keehan. 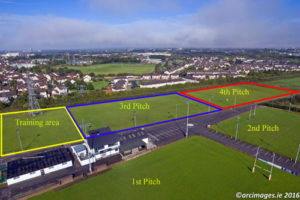 The Clubman of the Year Award is presented annually to a club member who makes an exceptional contribution to the club, and Liam Keehan certainly deserves the award this year. 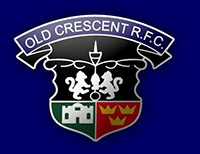 Liam is deeply involved in every aspect of Old Crescent RFC. He chairs our Ways and Means Committee, and also serves on our Grounds Committee. Thank you, Liam, and congratulations on your award. Our picture shows Liam Keehan, on left, being presented the the Clubman of the Year Award for the 2017-18 season by outgoing President, Tim Duggan. ◂ Limerick Summer Music 2018 welcomes the return of Limerick International Singer!